This is the penultimate post in a series of interviews with the 2016 ALPSP Awards for Innovation in Publishing finalists. Mark Kavanagh from SAGE Publishing talks about An Adventure in Statistics. Traditional methods of teaching and learning are in flux, partly because attention in the digital age is a scarce resource and engaging students is an increasing challenge. When Andy Field presented his ideas for a new approach to writing a textbook, we saw the opportunity to promote innovation within our textbook programme, specifically using Research Methods as our sandpit to play with pedagogy and better understand student engagement and learning styles. A reinvention of the classic textbook model, An Adventure in Statistics demonstrates SAGE’s commitment to putting the authorial voice, ideas and talents at the heart of what we do, and to responding to the changing needs of students today. It is designed to work in the same way any textbook would. There are chapters on all the key areas covered on typical introductory statistics courses, there are pedagogical features throughout, and there is an online website offering complementary teaching and learning resources. Where it departs from the traditional textbook model is in conveying statistical concepts through the interactions of characters in a novel length story – a science fiction love story in which Zach searches for his beloved Alice in a futuristic world, where every character he meets in his quest wants to teach him stats! Great focus was placed both on the visual and story elements of the text to ensure that it worked as ‘academic fiction’. Andy always had the student reader firmly in mind from the beginning, but when he delivered the script, the SAGE product development team adopted a “bottom up”, user focused review process to better learn how this unique approach worked in practice, to build up student testimonials, and to help create more innovative sales and marketing strategies. 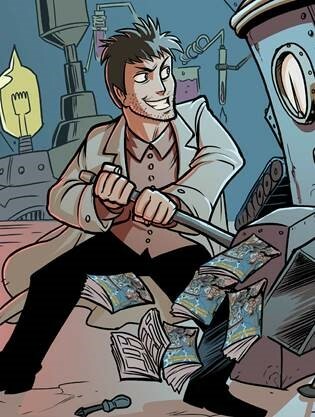 Andy engaged an Illustrator – James Iles, of Doctor Who fame – who helped initiate bringing the story to life. In house, Ian Antcliff worked on creating a design consistent with the artwork, adding value to the visual experience. The array of illustrations bring another dimension to the figures, tables and pedagogy scattered throughout the book, fully immersing students into Zach’s world and making a one of a kind reading and learning experience. In addition Andy worked with fiction editor, Gillian Stern, who provided feedback on the story elements of the text, helping to release Andy’s hitherto latent literary talents. An Adventure in Statistics rethinks the way that knowledge can be acquired, embedding statistical concepts into a highly illustrated, fictional narrative to motivate student learning. Using the medium of a science fiction love-story – not explored within teaching before – Andy have taken a creative approach to a long established model to create a more effective learning experience. We’ve invested significantly in adapting a traditional model and format of dissemination to appeal both to changing learning styles and the ways in which students want to engage with educational content. It puts the reader at the centre, challenging their preconceptions about style and learning habits, appealing to their creative nature, demystifying content and teaching through a novel format. In addition the story element of the product gives us much more scope to play with new ways of engaging students via social media, fostering and sustaining “fandom” and product discoverability. 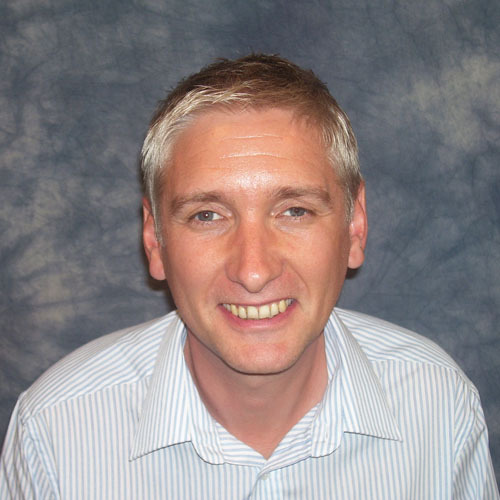 An Adventure in Statistics is the expression of Andy’s vision for better engaging students and symbolises our willingness to invest significantly in the ideas of those at the forefront of HE teaching. An Adventure in Statistics represents our most far reaching foray into understanding better student engagement, but we’re undertaking a range of innovation in pedagogy initiatives of varying scale throughout our textbook publishing programme. Adopting the “digital” mind-set of learning by doing and iterating, we’re conducting a series meaningful experiments across print and digital to learn more about how to be as relevant as possible to students at a time when they are increasingly influential in what teaching material they use. SAGE Publishing is a leading independent academic and professional publisher founded in 1965 by Sara Miller McCune. SAGE is widely credited with helping to found early fields in Research Methods, and over its 50 year history has developed to further support the field in academic content, teaching resources, and innovative new products (e.g. SAGE Video Research Methods). We are committed to continuing our tradition of innovation within the Research Methods sphere, and the new textbook by award winning author Andy Field is a key example of how SAGE’s textbooks are breaking the mould of pedagogy, research methods and teaching. This post was updated 5 September 2016. Mark Kavanagh is Executive Publisher at SAGE Publishing. You can watch Mark present during the ALPSP Awards for Innovation in Publishing lightning sessions at the Conference in September, where the winners will be announced. Further information and booking available online. This is the third in a series of interviews with the 2016 ALPSP Awards for Innovation in Publishing shortlist. Ginny Hendricks from Crossref tells us more about their Metadata API. Crossref is a not-for-profit membership organization for scholarly publishing working to make content easy to find, cite, link, assess, and re-use. We do it in five ways: rallying the community; tagging metadata; running a shared infrastructure; playing with new technology; and making tools and services to improve research communications. We’ve been around for sixteen years primarily for storing and registering identifiers that enable persistent linking between research articles. We’ve since grown to almost 6000 publisher members. This makes us not so much a Start-up as a ‘Scale-up’. We are seeing over 150 new publishers joining every month, international in scope and location, and many of these are library publishers, scholar publishers, and organizations exploring new publishing models. It’s the Crossref Metadata API, which is becoming a significant focus for us. We always describe APIs as machine-to-machine interfaces, but as more of us, including researchers, grow our developer mind-set, more of the services that we and others build need a dynamic way to integrate and use the cross-publisher metadata registered by Crossref. 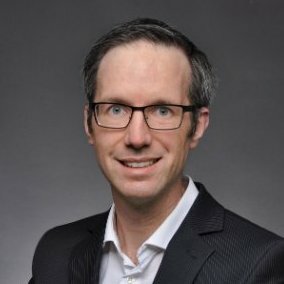 Put simply, the API lets anyone search, filter, facet and sample Crossref metadata related to over 80 million content items with unique Digital Object Identifiers (DOIs). We’re a small team of fewer than thirty people total, about a third in Oxford, UK and two thirds in Boston, USA. This, like most Crossref initiatives, started with the R&D team led by Geoffrey Bilder and has been extensively developed by Karl Ward. The API was initially conceived to support funders who wanted to be able to find and report on the outputs of the research they funded. This was information publishers had started to provide Crossref, but to make best use of it, funders need to be able to access the most up-to-date information from publishers to be able to filter and facet their searches to look for specific subsets of information to report on the KPIs they were interested in. Then it grew - with the introduction of funding data we started to see the API being used extensively. Coupled with that, the increased breadth of the metadata that publishers can provide Crossref with has also been growing - letting it be interrogated and used in lots of interesting ways. As such, the API has been developed to support the different information that users might ask of the metadata: asking for things like licence information, ORCID iDs, full-text links, clinical trial numbers and being able to filter on and combine these to get the specific sub-set of data they’re looking for. For its openness, its wide applicability, and it’s growing user base. Also because it’s used solely by developers who are looking to innovate themselves. As a communications person it’s been really interesting to see how the developer community has engaged with the API. The kind of use cases we’re seeing include text-mining, simple reporting and tracking, notification services, search interfaces (including our own) and integration in online editing and blogging tools. 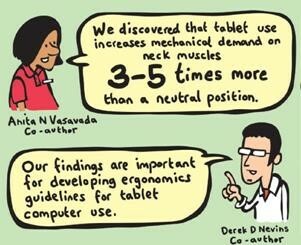 Robustness! We have plans to scale up the technology to handle the growing usage the API is experiencing and make sure we can wholeheartedly support and grow the community that is using it. Of course, the API is only as valuable as the information that publishers provide Crossref with, and we’ll also be encouraging publishers to deposit the best, most complete metadata they can to improve the discoverability and usability of the research they publish. 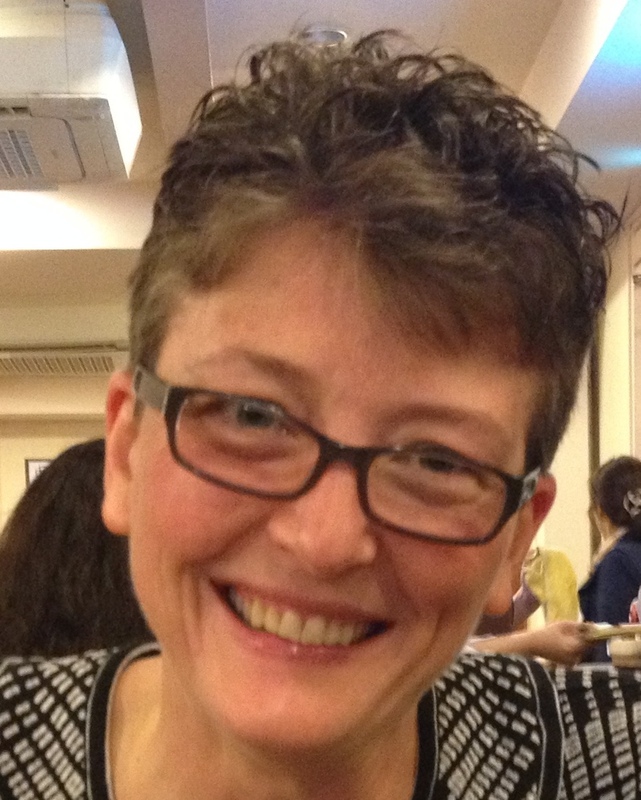 Ginny Hendricks is Director of Member & Community Outreach at Crossref. 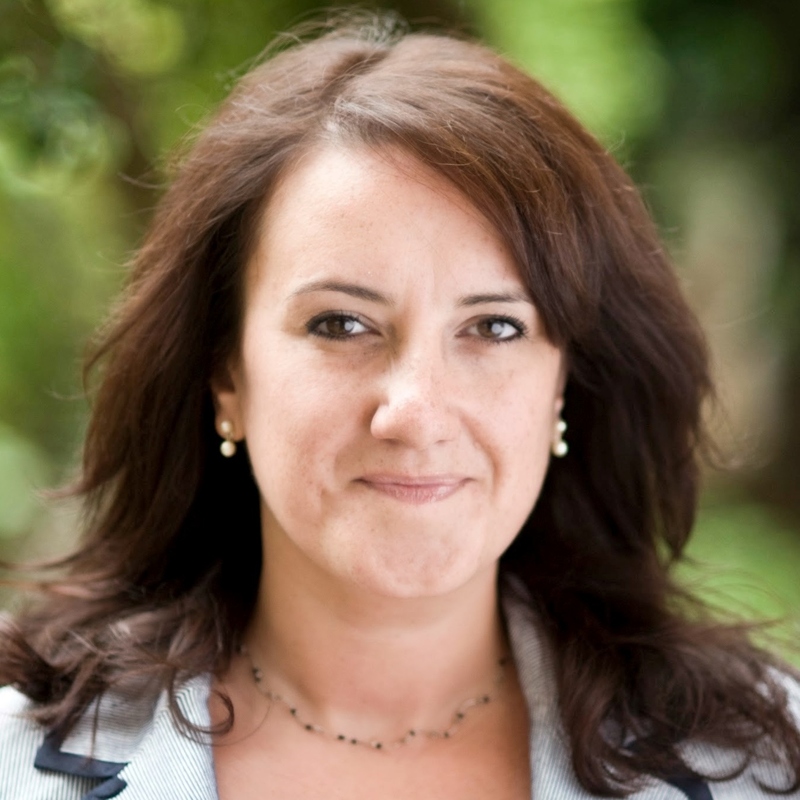 You can watch Crossref present during the ALPSP Awards for Innovation in Publishing lightning sessions at the Conference in September, where the winners will be announced. Further information and booking available online. In this, the second in a series of interviews with the 2016 ALPSP Awards for Innovation in Publishing shortlist, we talk to Ben Hudson from Taylor & Francis about Cartoon Abstracts. I work as a marketer in the journals division of Taylor & Francis. We’ve been cultivating knowledge since 1798. 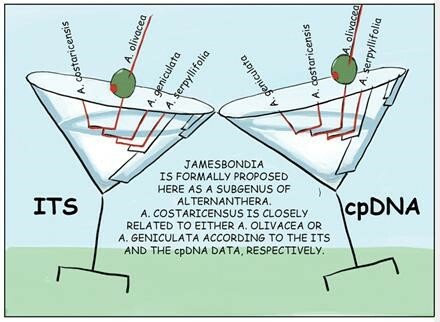 Cartoon Abstracts, which are a fun new way of visualising academic research. These act primarily as a marketing tool, and are making a big impact on social media as well as having other applications. See the cartoons for yourself at www.cartoonabstracts.com. Marketers are already using many different ways to promote individual research articles, and attracting the attention of an audience is an ever-evolving challenge. I wanted to create something that stands out from the crowd, so I worked with a number of illustrators to combine the storytelling of a good press release with the highly visual nature of infographics. The end result is both concise and engaging – perfect for today’s marketing environment. Once created, individual cartoon abstracts are promoted by T&F through social media, online, and via email. In addition, printed comics are proving very popular as a conference giveaway. The original authors are provided with printed posters of their cartoon. 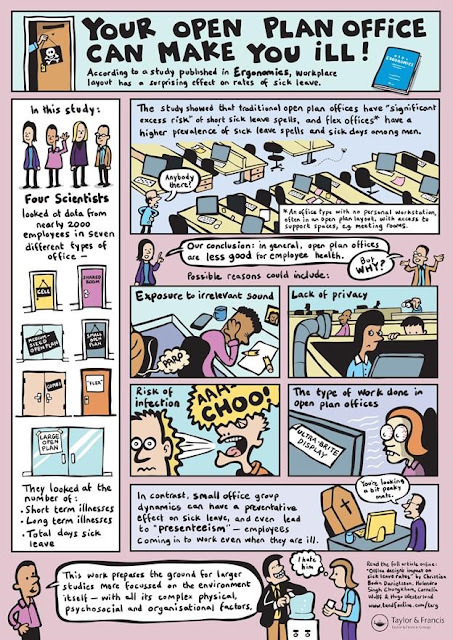 These can be used at the authors’ place of work, at conferences, or even in poster sessions. 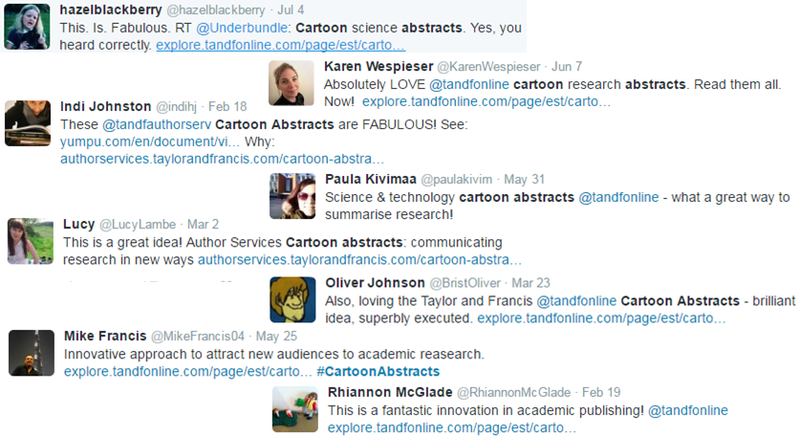 Authors are also encouraged to self-promote their cartoon abstract through blogs and social media. This combined promotion generates significant downloads and fantastic PR for the original research articles. This also increases the potential for citations. Each individual cartoon abstract summarises the original authors’ work through illustration, harnessing the overwhelming power of images over text. Illustrations can aid the understanding of difficult concepts, broaden the appeal of niche topics, and transcend language barriers. 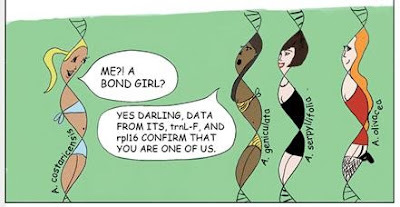 Authors enjoy being included as characters, which encourages them to share their cartoon via their own networks, thus increasing our communications reach. The author characters also resonate with the audience. 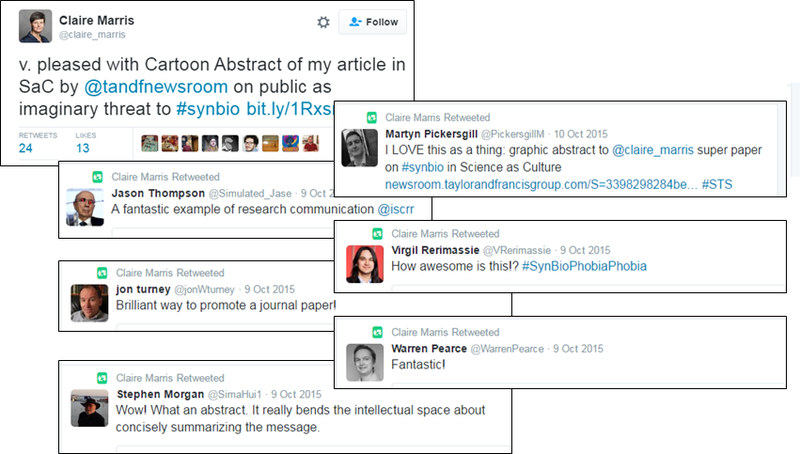 Cartoon Abstracts truly has gone viral, winning resounding organic praise from the academic community and beyond. Cartoon Abstracts continues to gain exposure and awareness in the wider community, bringing written research to new audiences. I would like the concept to inspire not only current academics, but also the academics of tomorrow. 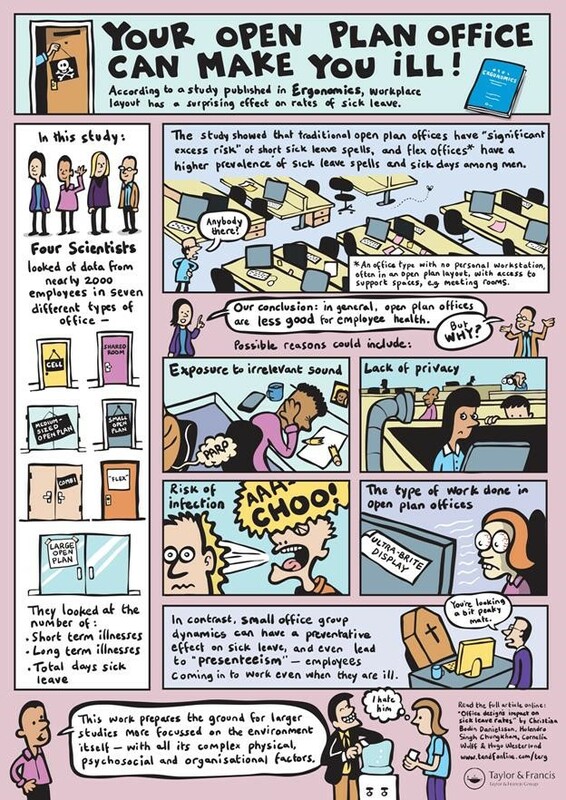 As stated in the cartoon abstract Are Comics a Good Medium for Science Communication?, “Science comics have the potential to develop lay people’s ongoing interest and enjoyment for science”. Ben Hudson is Associate Marketing Manager at Taylor & Francis and Founding Editor of Cartoon Abstracts. Watch him present during the ALPSP Awards for Innovation in Publishing lightning sessions at the Conference in September, where the winners will be announced. Further information and booking available online.